In the final book in the beloved Zombie Chasers series, Zack Clarke and his zombie-fighting team travel across the world in search of an antidote that will stop the brain-gobbling outbreak once and for all. 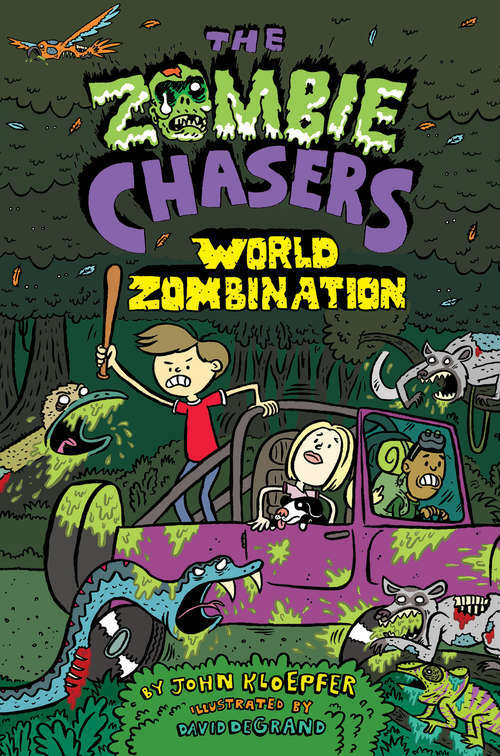 With all the middle school shenanigans, fast-paced adventure, and hilarious black-and-white drawings that have made this series a favorite of reluctant readers everywhere, The Zombie Chasers #7: World Zombination is an uproarious, gore-streaked finale that readers will love!From taming zombie jungle animals in Madagascar to unearthing zombie mummies--zummies--in Egypt to battling black-belt super zombies in China, it's the zombie chasers' slimiest adventure yet. Will the kids be able to get the antidote and unzombify the undead masses once and for all? Or will the putrid planet fall to the zombie scourge?